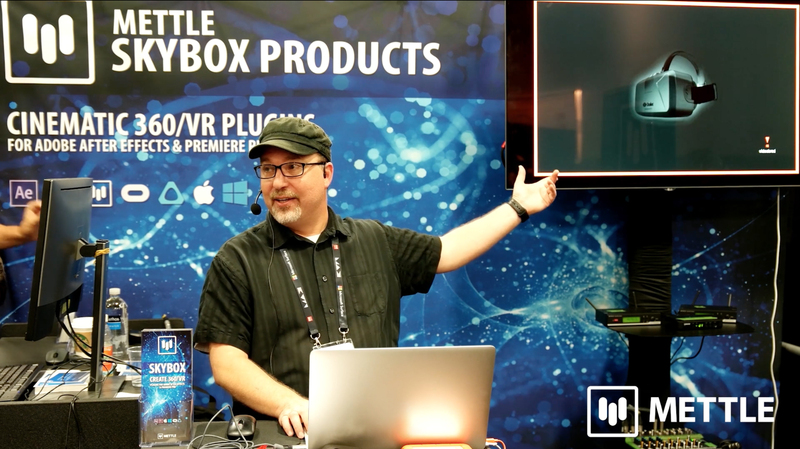 In a followup to his previous After Effects Workflow video, Josh Kimmis from CV explains in-depth Skybox Studio V2’s latest feature — Skybox Composer. 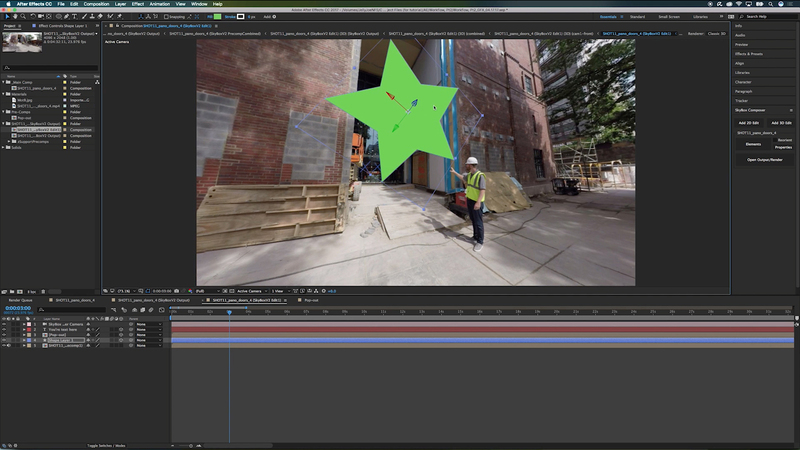 With SkyBox Composer > 2D Edit, you can quickly add text and graphics onto 360 footage. 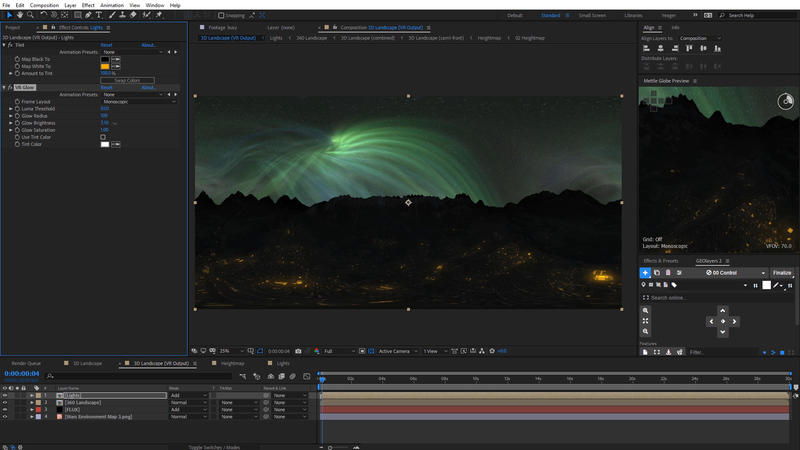 The SkyBox Composer > 3D Edit option lets you adjust all the elements (text, graphics, shapes, 2D video) in 3D space, integrating them more completely into your 360 video. Josh shows some of the differences between working with the two Edit features, while showing you the advantages of each. Proving that it’s even easier to achieve the builds you need using view-based editing! Watch the previous video: How to Create 2D Text + Graphics + Video Pop-outs + Overlays for 360 Video. 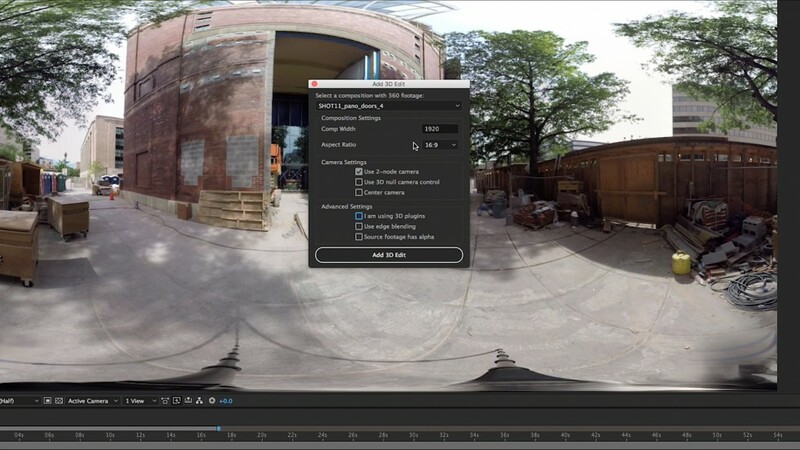 Check out more videos from CV’s 360 Video Tutorial playlists to learn more about their 360 workflows! 1. Add 2D Edit. Make sure to select the size of your equirectangular footage for the correct view. 2. Creates View-based Edit Comp. 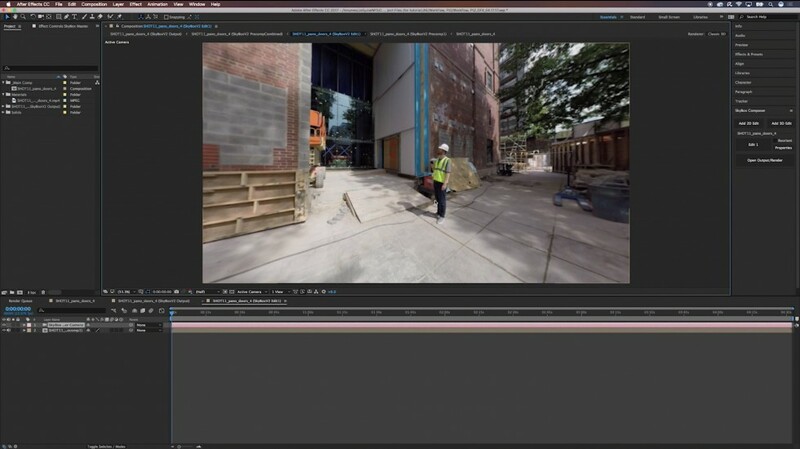 So you can work in the same view as the rendered 360 video. 1. 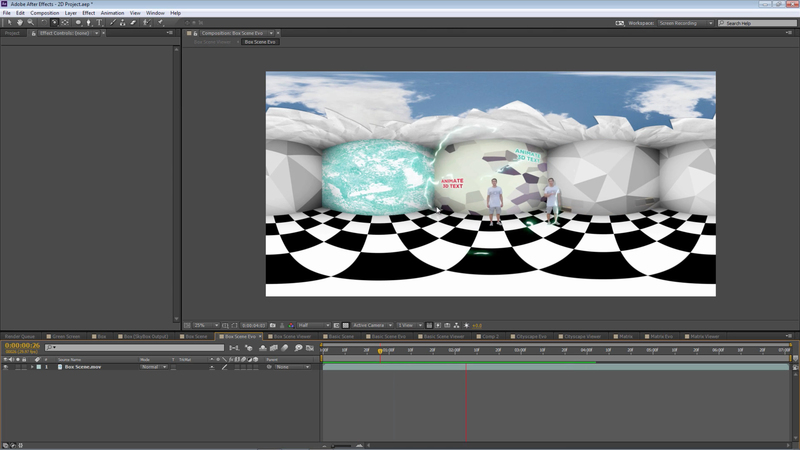 Select 3D Edit. 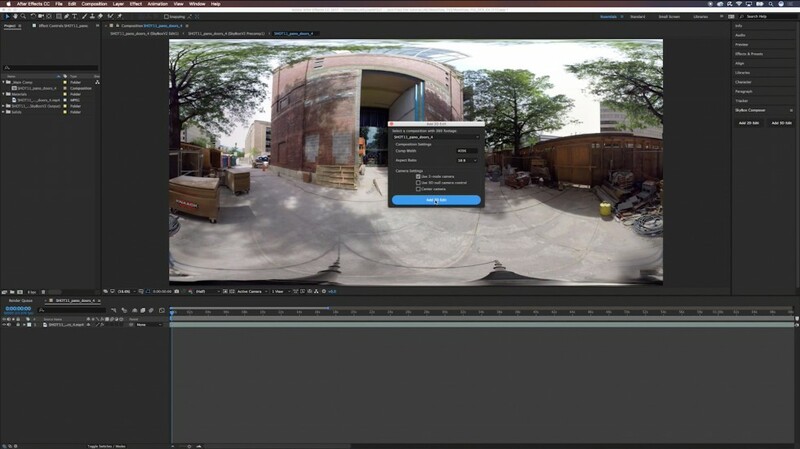 The comp size does not have to match the equirectangular footage size. 2. Move text and graphics in 3D space in your comp window. 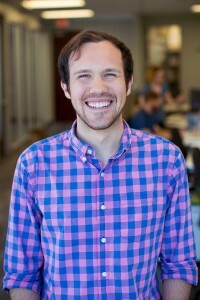 Joshua Kimmis is a Content Specialist at CV North America. You can reach him on LinkedIn and by email. Lord Edmiston, a successful Christian businessman in the UK, founded Christian Vision (CV) as an international charity in 1988. We are a global Christian ministry with a strategic goal to reach a billion people with the Gospel. Our staff love Jesus and are dedicated to using their creative gifts and talents to help connect people to Him. The internet and social media has allowed CV to provide international online evangelism resources such as yesHEis and CV Outreach, alongside multiple other activities that are focused on sharing the Gospel in the online mission field.